Thinking about creating a long-term wealth strategy by investing in Alaska real estate? With interest rates and home prices low, and inventory high, now is a great time to get in the game. But it takes more than good mortgage rates and property availability to determine a smart investment – one that will help you build long-term wealth and financial security. When investing in real estate, there are common considerations like the upfront costs, the expected rate of return and the time to turn a profit. And don't overlook the obvious question: "Will someone still want to buy this in five years, 10 years, 20 years?" Chances are, people will always want to live in a nice home that's been appropriately updated, or do business in a well-maintained building, which makes real estate a safe bet. Going from renting to buying a home is the first step in building your real estate empire; essentially you stop paying into your landlady's coffers and start reaping the benefits of home ownership yourself. "In the long run, real estate has always proven to be a good investment," says Eva Loken, associate broker at Prudential Vista Real Estate in Eagle River/Anchorage. "In addition to the equity build up, with the current tax laws the deduction for mortgage interest offsets some of the cost of owning as opposed to renting where there is zero offset," she explains, adding: "Current law also allows for deduction of local property taxes from federal taxable income." A home to live in, equity building and a tax deduction to write off each year may be more than enough of an investment goal for some, while others may see this as merely the beginning. So how do you go from first-time buyer to a successful real estate investor? "Everyone has different motivations and thresholds, but the primary purpose of investing in real estate is to gain wealth," states Laura Halverson, associate broker at RE/MAX Dynamic Properties in Anchorage. Since not all investment properties are the same, it's important to determine what type of property is best for you. 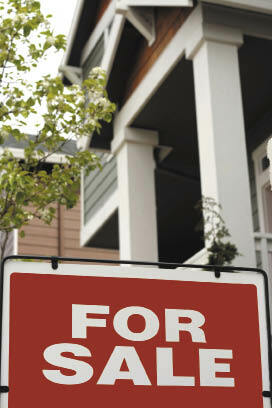 Do you want to become a landlord, or would you rather restore and resell properties? Are you interested in apartment buildings and other commercial real estate, or in buying land that can be developed? With so many ways to invest, Loken recommends asking yourself: "Am I buying this to have more time or less time?" It's a simple question given the realities of managing your own apartment building, for instance. Will the rent you gather offset the repairs you do and the vacancies you advertise? Or, are you more of a behind-the-scenes type of investor, buying shares in commercial properties or hiring a management service to oversee the day-to-day business of your buildings? Will the cost of maintaining a vacation home mean you have to work more to pay for it, translating to less time to actually use it? "If you are looking to buy income property, then you should aim to have a positive income after paying expenses like tax, mortgage, repairs and so on," advises Loken for those mulling the landlord path. "Strictly 'investment' properties should not be ventured into until you can truly 'carry it,' " she cautions, explaining that if investment assumptions miss the mark or if the tax laws should change, a once-hopeful investor could be left upside down on mortgages or unable to unload an overvalued building. Location, too, should be weighed – not just how a property is presently located, but how future developments (parks, buildings, schools, businesses) could affect its worth. If none of these brick-and-mortar options float your boat, look under your feet. "If you are looking for long term investment without the extra job of being a landlord," says Loken, "vacant land strategically located for future development may be the ticket." During the so-called nationwide "housing boom" in 2001-2008, buying rundown houses, fixing them up and selling for a profit in a short amount of time was a quick way to see a sizable return on investment. But if you are considering flipping now, Loken cautions that "unless you are very handy, have building experience and liquid funds, the risk is very high. As many 'flippers' have experienced, cost overruns and time overruns are very expensive, especially if the money to pay for the flip was borrowed." Some experts suggest that investors look for "cosmetic fixers" that can be refurbished with paint, flooring, new appliances, drywall repairs, landscaping, etc., rather than run-down houses that need major structural repairs. New lighting fixtures, doors and siding, as well as updated kitchens and bathrooms, are also generally affordable improvements that can pay off. Halverson is a fan of the flip, but with the caveat that buyers expect to sell "a few years later" instead of short-term. She says that it's "the easiest way to make money that I know of!" Given how other markets have crashed and burned in the last few years (as in areas of Nevada and California), the Alaska market has remained steady through it all and doesn't show any signs of slacking off. From 2010 to 2011 Anchorage saw a 2 percent increase in the total properties sold, while the average sales price only dipped by that same fraction. Loken points to high-paying oil jobs being moved to other states as being responsible for a current increase in high-end homes on the market, while the inventory and prices of middle to lower range homes have remained steady. Lower priced condos ($250K) is one category that is struggling, she says. "Mostly because HUD has tightened the criteria for association approvals" meaning fewer potential buyers will be approved for loans. That translates to an increase in the rental market, which spells a boon for income property owners as the demand for quality rentals increases. DuFour encourages her clients, especially her first-time buyers, to always be thinking about the future when deciding to invest in a property: Will this resell easily? Will this amount of space suffice for a few years? "Is there room to make improvements to add value in addition to appreciation over the years?" Whichever direction you decide to go, understand that buying investment property is a different experience from buying your primary residence. When buying a home to live and raise a family in, you usually have emotions in the mix. But when buying an investment property, the experts say to set emotions aside and ask: "What makes sense?" To make the best real estate investment, rely less on whether or not you like the property; rely more on whether or not this is the right property for you. Buying an investment property is like buying a business: Keep your focus on the numbers. And remember, the more knowledge you have before investing, the more likely your investment will be a profitable one.